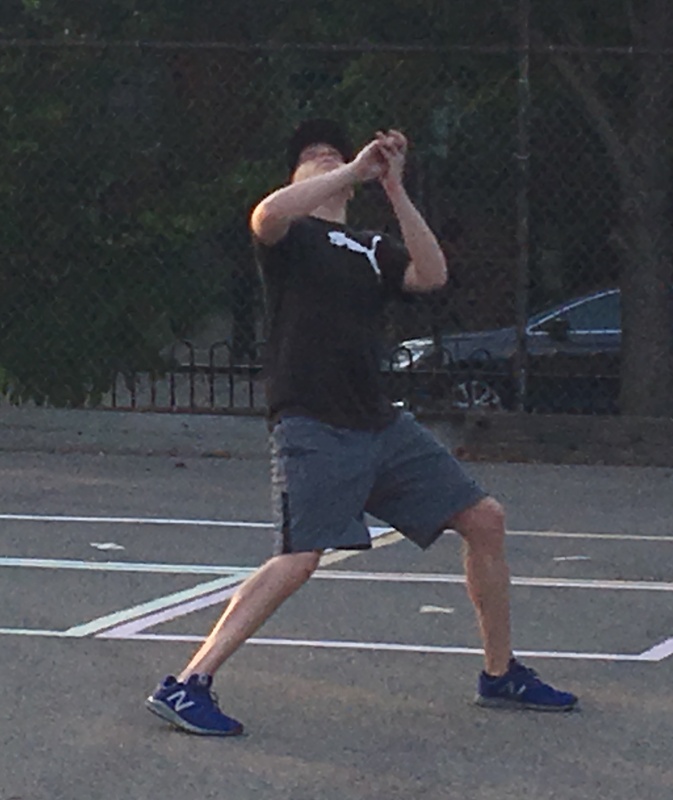 After being shutout for the first time in 129 games (and only the second time in franchise history), Questionable Outfit bounced back in game two of the Wiffle Series, taking an early lead and riding Bob’s arm and bat to victory, evening the series at one game each. 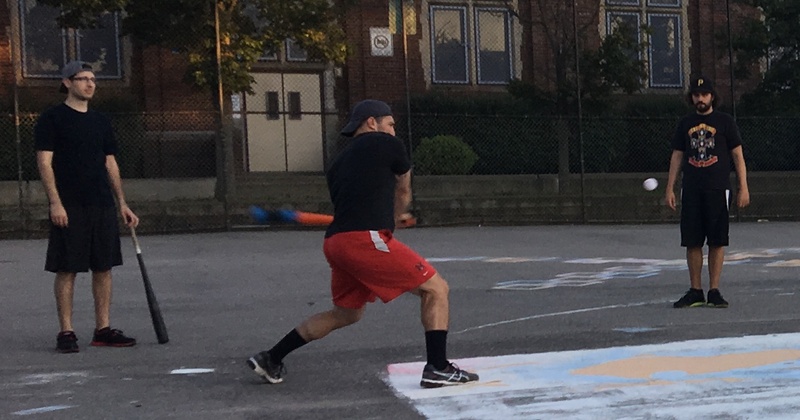 Questionable Outfit had not been shutout since game three of the 2013 Wiffle Series before being blanked in game one, but got their bats out in game two, as Bob homered twice, and Tom and Miller each added homers. Bob was in control on the mound, allowing only two runs on five hits, both solo homers to Erich. Bob took the mound for Questionable Outfit, and using a somewhat new delivery, he was in command early. He retired Joey and Erich in order in the top of the first, and he provided his own run support in the bottom half of the inning. After struggling to plate runs in game one, Bob set the tone early for Questionable Outfit in game two. He led off the game with a solo homer to deep right-center, putting Questionable Outfit ahead 1-0. Later in the inning, Mike would double with one out, but Dinger limited the damage to a run, retiring Miller to strand the runner and end the inning. Dinger singled with one out in the top of the second, but Bob stranded him, retiring Joey to end the inning with the score 1-0. Questionable added to their lead in the bottom of the second. Bob led off the inning with a double, and Tom followed with a two-run homer to left, putting Questionable ahead 3-0. Mike followed with a single, but when Miller flew out to right, Mike was caught in between first and second, and the double play ended the inning with Questionable Outfit up three. Cookies & Cream got on the board in the top of the third when Erich led off the inning with a solo homer, making the score 3-1. Bob retired Jordan and Dinger to end the inning, and Cookies had cut the deficit to two runs. Questionable Outfit immediately made up the run in the bottom of the third. Bob started the inning with a solo homer, his second of the game, and Questionable led 4-1. Two batters later, Mike singled with one out. Miller followed with a hit off the fence, scoring Mike from first to make the score 5-1. Miller attempted to make an inside-the-park home run out of the hit, but was caught between third and home, ending the inning with Questionable Outfit leading by four runs. With one out in the top of the fourth, Erich hit a solo homer for the second consecutive inning, cutting the score to 5-2. Jordan followed with a single, but Cookies & Cream couldn’t rally, as Bob retired Dinger to strand the runner and end the inning. Tom singled with one out in the bottom of the fourth, but Dinger stranded him, retiring Mike, and the score remained 5-2. Bob cruised through the top of the fifth, sending Joey and Erich down consecutively. Questionable Outfit added one more insurance run in the bottom of the fifth when Miller led off the inning with a solo homer to left. Dinger retired Bob and Tom to end the inning, and the score was 6-2 heading into the sixth inning. Dinger doubled with one out in the top of the sixth, but Cookies & Cream, and especially Joey, couldn’t crack Bob. He retired Joey for the fifth consecutive time, stranding Dinger at second and ending the inning and the game. The 6-2 Questionable win in game two evened the best-of-seven series at 1-1. Cookies & Cream will serve as the home team for games 3 and 4. – Bob pitched the complete game win for Questionable Outfit, allowing two runs on five hits in six innings. – Dinger took the loss for Cookies & Cream, giving up six runs on ten hits in five innings. – Bob led Questionable Outfit on offense, going 3-for-5 with a double, two home runs, three runs scored and two RBI. – Erich led Cookies & Cream at the plate, going 2-for-4 with two home runs, two runs scored, and two RBI. Joey and Jordan celebrate at the play after Joey’s third inning homer put Cookies & Cream ahead 3-0. Joey led Cookies & Cream, going 3-for-5 with two doubles and a home run. For the fifth consecutive year, Cookies & Cream and Questionable Outfit advanced to the Wiffle Series and will face off for Wiffle glory in the best-of-seven championship series. In 2013, Cookies & Cream swept Questionable Outfit, and Questionable Outfit seem to be paying them back ever since. Questionable Outfit, the three time defending champions, beat Cookies & Cream in the 2014, ’15, and ’16 Wiffle Series, and now will have a chance to win their fourth straight title. 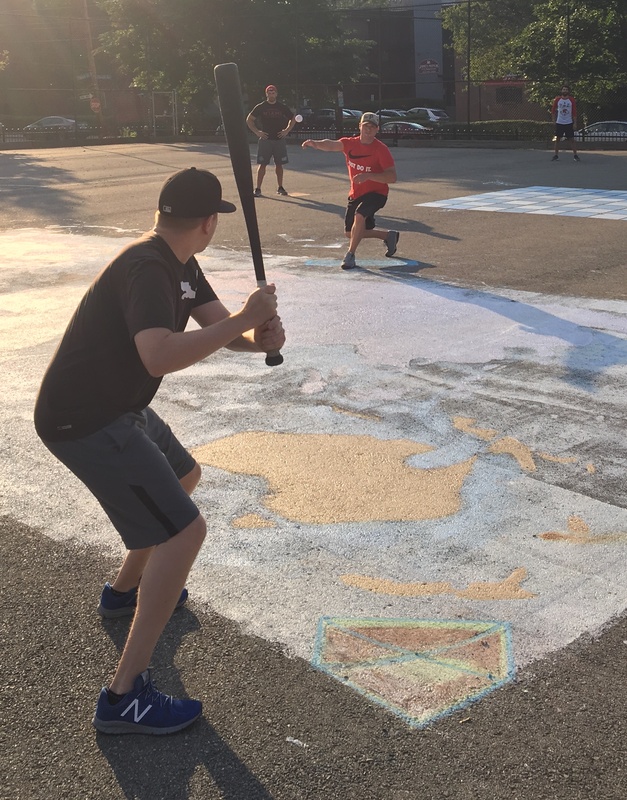 Cookies & Cream, coming off a stunning comeback in their first round series with the Ham Slams, got the upper hand in game one of the Wiffle Series. Jordan pitched a complete game shutout, his second in a row, and Joey went 3-for-5 with two doubles and a home run as Cookies & Cream took an early lead in the series with a 4-0 win. Riding their momentum from the first round, Cookies & Cream jumped ahead early, getting to Questionable Outfit’s starter, Miller. Joey led off the game with a double, and two batters later, Jordan hit a one-out triple, scoring Joey to make the score 1-0. Miller retired Dinger to end the inning, and Cookies & Cream led by one. Jordan allowed a single to Bob to start the bottom of the first, but he stranded him at first, retiring Tom and Mike in order to end the inning with the score 1-0. For the second consecutive inning, Joey led off with a double in the top of the second. Erich flew out in foul territory, and Joey tagged, advancing to third. Questionable Outfit made a throwing error trying to get the second out, and Joey scored from third, putting Cookies & Cream ahead 2-0. Miller then retired Jordan to end the inning with Cookies ahead by two. Jordan retired the side in order in the bottom of the second, maintaining Cookies two run lead. Miller retired Dinger to start the top of the third, but the next batter he faced, Joey, laced a line drive homer to left. The solo shot put Cookies & Cream ahead 3-0. Miller retired Jordan to end the inning, and Questionable trailed by three runs. Jordan continued to roll in the bottom of the third, retiring Tom and Mike in order. Miller pitched his first perfect frame in the top of the fourth, sending Jordan and Dinger down consecutively. Bob singled with one out in the bottom of the fourth, but Questionable couldn’t advance him. Jordan retired Tom to end the inning, and Questionable Outfit hadn’t advanced a runner past first base through four innings. Miller retired Joey for the first time in the game in the top of the fifth, but Erich followed with a deep solo homer to right-center, putting Cookies & Cream ahead 4-0. Miller retired Jordan to end the inning, and Questionable would need a four run rally. Mike started the bottom of the fifth with a double, but Jordan clamped down again, retiring Miller and Bob in order to strand the runner, and the score was 4-0 through five innings. Dinger singled to start the top of the sixth, but when Joey grounded out to the mound, Miller tagged Dinger, caught in between first and second, to end the inning. 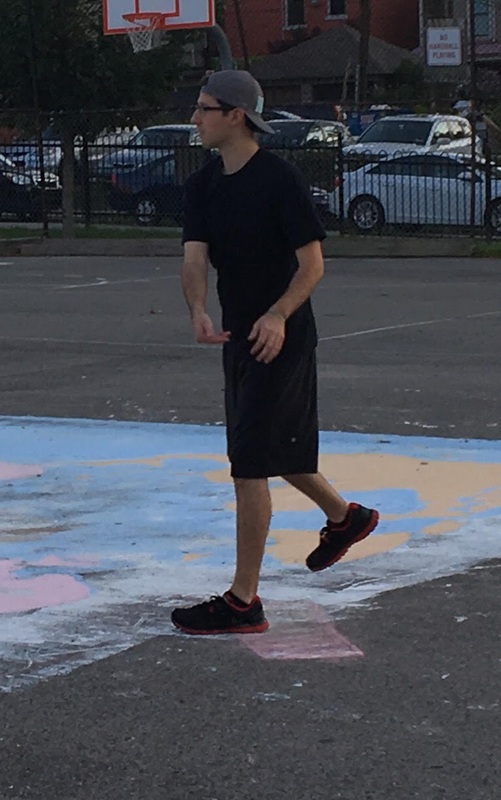 Questionable Outfit had rallied to shock Cookies & Cream multiple times in the past, including a dramatic bottom-of-the-seventh inning comeback in game one of the 2015 Wiffle Series. They looked to repeat history, and it appeared as if it may happen. Mike singled with one out, and Miller followed with a double, putting two runners in scoring position. It was the most Questionable Outfit had threatened, but the rally would end there. Jordan got Bob to fly out to right field, stranding both runners, ending the inning and the game. Cookies & Cream had won game one of the Wiffle Series 4-0, taking a 1-0 lead in the best-of-seven championship series with Questionable Outfit. – Jordan pitched a complete game shutout for Cookies & Cream, allowing only five hits. – Miller took the loss for Questionable Outfit, giving up four runs on six hits in six innings. – Joey led Cookies & Cream on offense, going 3-for-5 with two doubles, a home run, three runs scored, and an RBI. 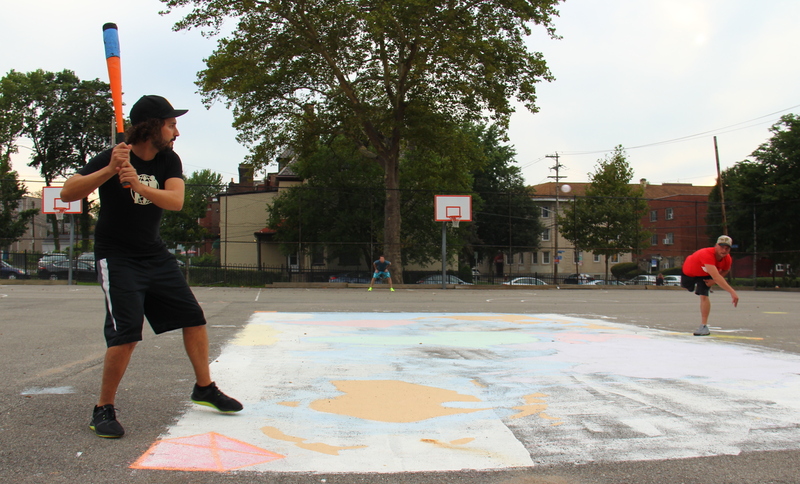 – Mike led Questionable Outfit at the plate, going 2-for-4 with a single and a double. Joey, who hit for the cycle in game 4, stands at the plate while teammate Erich watches on. The two players combined for ten hits and ten runs in the game 4 win. 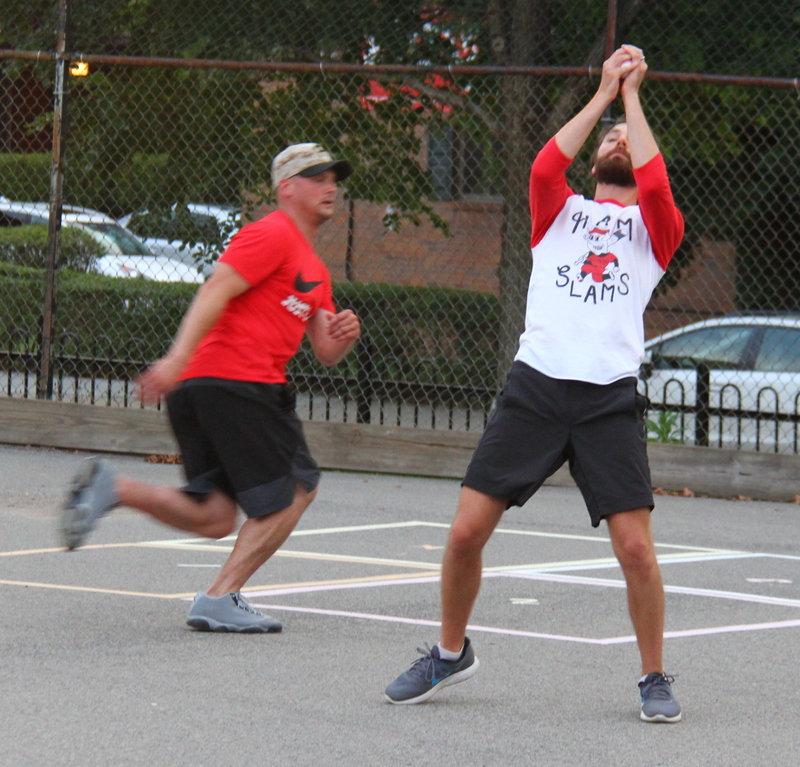 After losing games one and two of their first round series with the Ham Slams, Cookies & Cream followed a narrow victory in game three with a runaway win in game four, beating the Ham Slams 11-6. 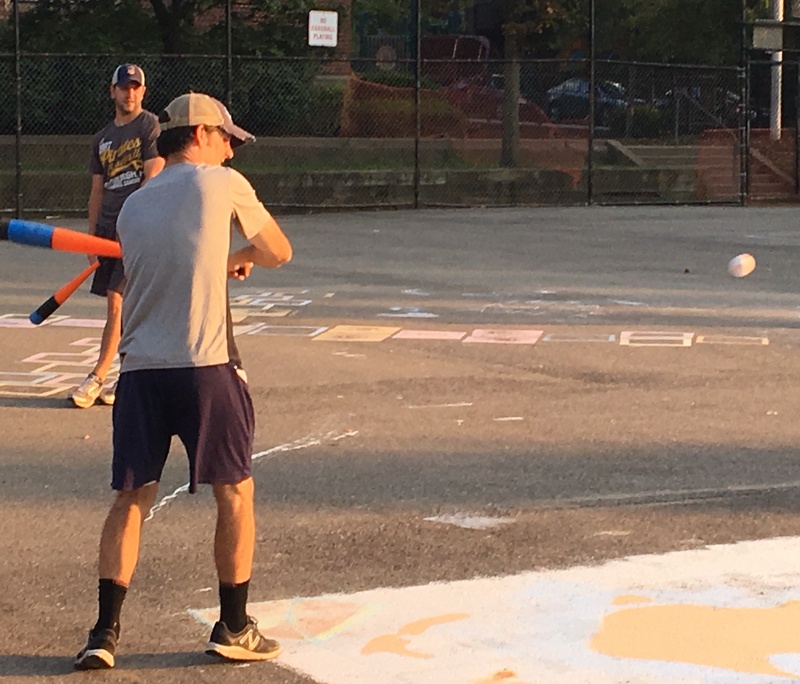 Joey, Erich, and Jordan each contributed five hits as Cookies forced a deciding game five, which will determine who will play Questionable Outfit in the 2017 EWL Wiffle Series. This will mark the fifth consecutive postseason that Cookies & Cream will play in game five of a first round series. Cookies & Cream has a 4-0 record in game five of the first round, including 2-0 against the Ham Slams. Josh started on the mound for the Ham Slams, and he fell behind early. Joey led off the game with a solo homer to left, and Cookies & Cream led 1-0 immediately. Erich followed with a triple, and he scored when Jordan grounded out to left for the first out of the inning. Josh retired Dinger to end the inning, and the Ham Slams trailed 2-0. 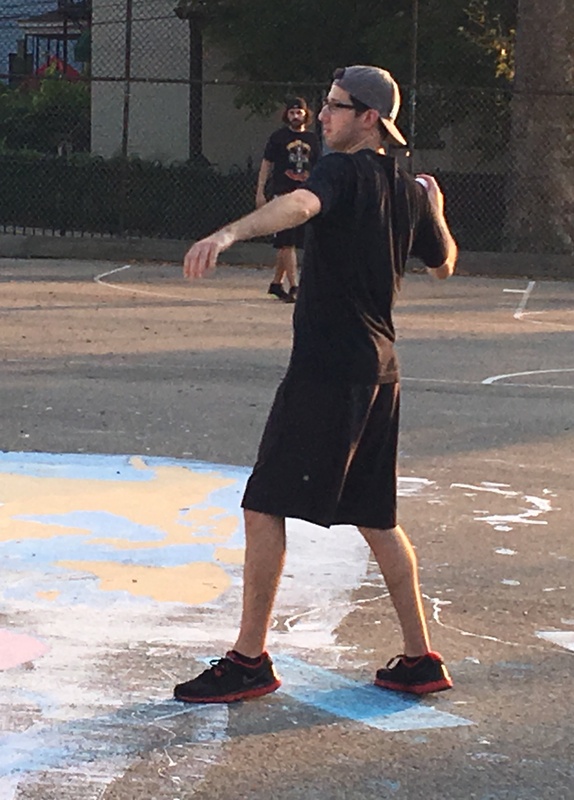 Jordan returned to the mound for Cookies & Cream after earning the win in game three, and he made quick work of the Ham Slams in the bottom of the first, retiring the side in order. Joey started the top of the second with a double, and two batters later, Jordan drove him in with an RBI single that extended the Cookies lead to 3-0. Josh retired Dinger to end the inning, and Cookies & Cream led by three. The Ham Slams would get on the board in the bottom of the second and cut into the Cookies & Cream lead. With one out, Kessler, in only his second game of 2017, crushed a solo homer to deep left field, making the score 3-1. 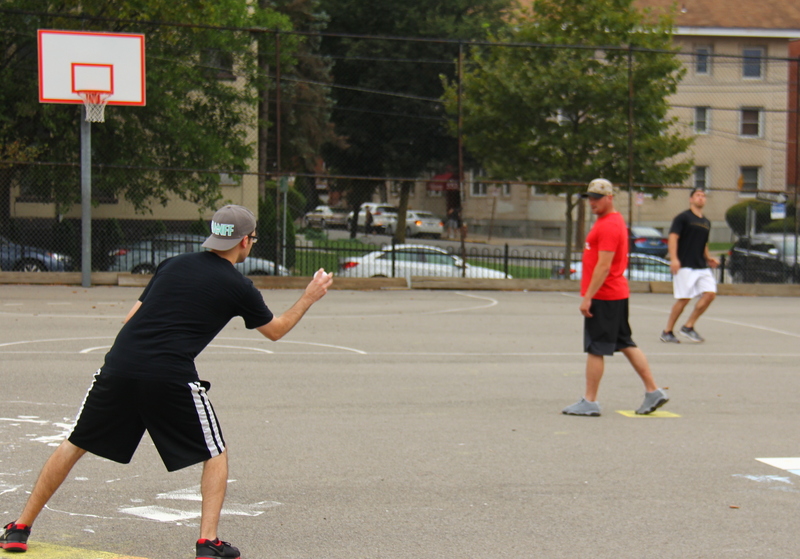 Jordan retired Steve to the the inning, and the Slams had narrowed the deficit to two runs. Cookies & Cream made up the run right away in the top of the third. Joey tripled to start the inning, and two batters later, Jordan drove him in with a one-out RBI single that made the score 4-1. Dinger followed with a single, putting runners on first and third with one out, but Josh avoided further damage. He retired Joey for the second out of the inning, stranding both runners. Josh singled with one out in the bottom of the third, and he moved to second when Kessler followed with a single. The Ham Slams were threatening, with two runners on and the tying run at the plate, but Jordan escaped the inning. He retired Steve, who flew out to deep center, stranding both runners and ending the inning with the score 4-1. Jordan earned the win on the mound for Cookies & Cream in game 4, and he also had five hits at the plate. Cookies & Cream would open up a big lead in the top of the fourth. Erich singled to lead off, and two batters later, he moved from first to third on a Dinger single. With one out and runners on the corners, Joey tripled, clearing the bases and putting Cookies & Cream ahead 6-1. Erich singled for the second time in the inning, scoring Joey from third to extend the Cookies lead to 7-1. Jordan drove in Erich with an RBI triple, and the score was 8-1. Josh retired Dinger for the second out of the inning, and the Ham Slams trailed by seven. Jordan retired the first batter in the bottom of the fourth, Dustin, and then was removed from the game. Dinger came to the mound, and he retired the first batter that he faced as well, Josh, ending the inning. Cookies & Cream added a few insurance runs in the top of the fifth. Joey led off with a single, giving him the cycle for the game, and he moved to second when Erich followed with a single. Jordan then doubled, scoring Joey to make the score 9-1. Josh got Dinger to ground out for the first out of the inning, but Erich scored on the play, and Cookies & Cream led 10-1. Joey flew out to left to end the inning, leaving Jordan stranded at second. Dinger retired the Ham Slams in order in the bottom of the fifth, sending Kessler and Steve down consecutively. Erich added one more run to the Cookies & Cream lead when he started the top of the sixth with a solo homer, which pushed the score to 11-1. Jordan followed with a single, his fifth hit of the game, but Josh stranded him, retiring Dinger and Joey to end the inning. The Ham Slams would head into the bottom of the sixth down ten runs, and they would need a miraculous inning to extend the game. If any team in the EWL has been known for an inability to close games, it is Cookies & Cream, and it looked as if they may experience deja vu early in the sixth inning. Dustin started the inning with a triple, and two batters later, Kessler drove him in with an RBI double that cut the score to 11-2. Steve followed with a double, scoring Kessler, and the score was 11-3. 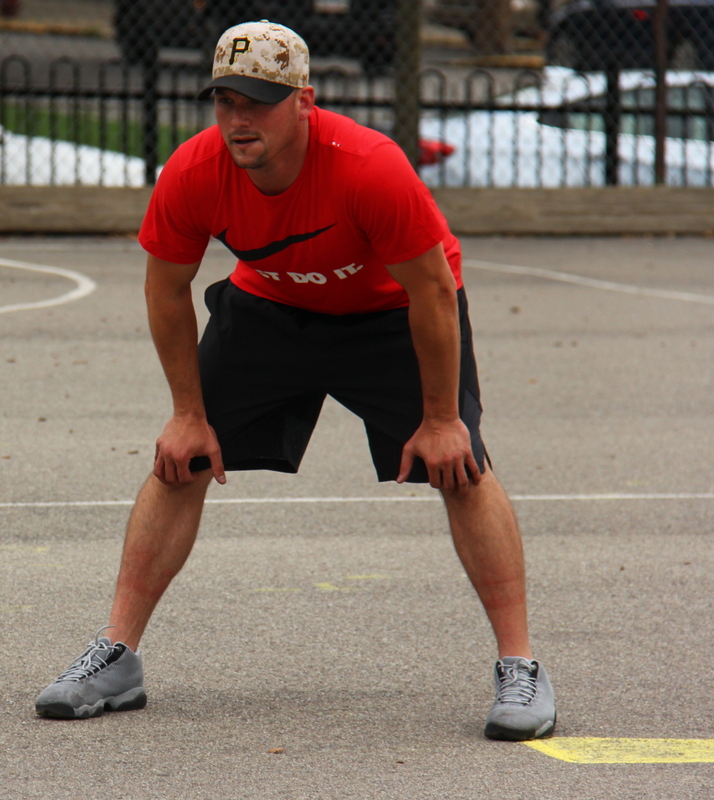 Dustin then doubled, scoring Steve, and the Ham Slams had narrowed the deficit to 11-4. Josh came to the plate and hit a towering fly ball to right-center that cleared the fence, and his two-run homer made the score 11-6. Just when it looked like Cookies & Cream were on the verge of another epic collapse, Dinger finally escaped the inning. He got Kessler to ground out to center for the second out, ending the game with Cookies & Cream holding on to win 11-6. The Cookies & Cream win tied the best-of-five first round series at 2-2. 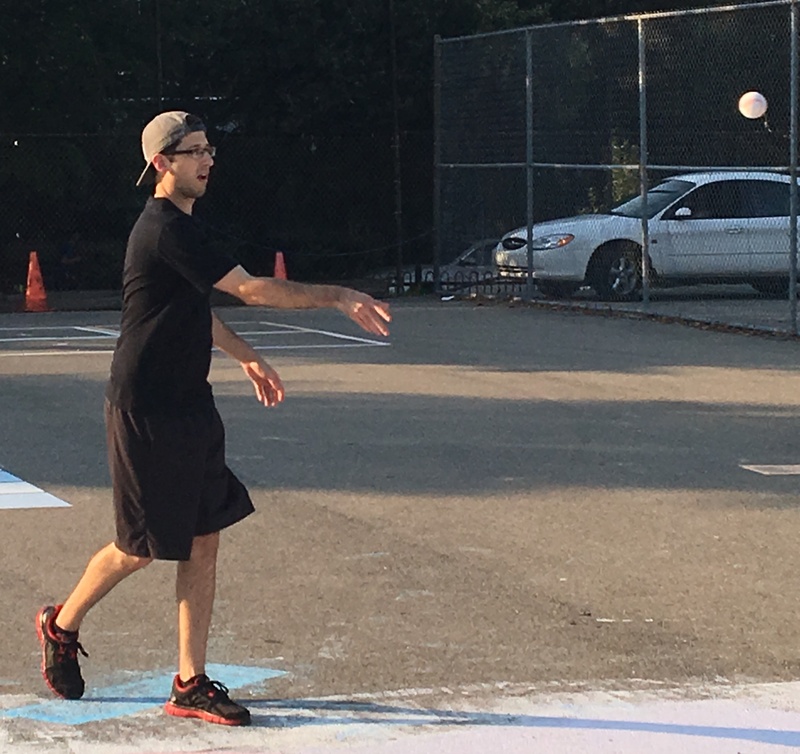 The two teams have pushed the series to the distance for the second year in a row, and the winner of game five will face Questionable Outfit in the Wiffle Series. – Jordan earned the win for Cookies & Cream, allowing one run on three hits in 3.5 innings. – Dinger pitched 2.5 innings of relief for Cookies & Cream, surrendering five runs on five hits. – Josh took the loss for the Ham Slams, giving up eleven runs on seventeen hits in six innings. – Joey led Cookies & Cream on offense, hitting for the cycle while going 5-for-8 with a single, a double, two triples, a home run, five runs scored, and three RBI. – Erich also had five hits for Cookies & Cream, going 5-for-7 with three singles, a triple, a home run, five runs scored, and two RBI. – Jordan also reached base safely five times, going 5-for-7 with three singles, a double, a triple, and five RBI. – Kessler led the Ham Slams at the plate, going 3-for-5 with a single, a double,a home run, two runs scored, and two RBI. Jordan got hit hard on the mound, but earned the win, and made up the difference on offense going 5-for-7 with a single, three doubles, a home run, and four runs scored. 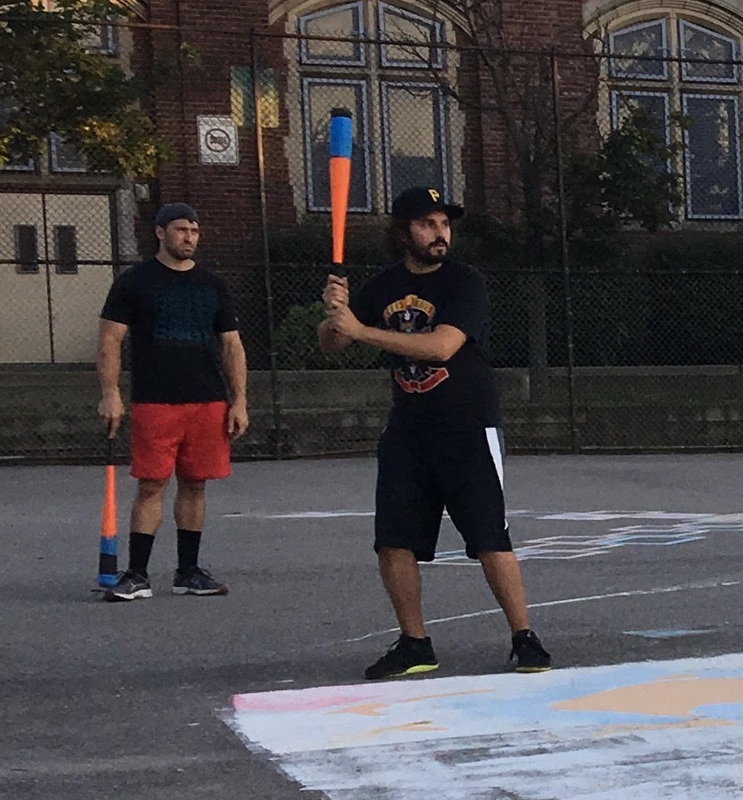 With their backs against the wall and facing a first round sweep at the hands of the Ham Slams, the Cookies & Cream bats resurrected, as each player had at least four hits in a 13-10 win. Erich and Jordan each had four extra-base hits, Joey reached base safely in his first five at-bats, and Dinger set the single-game playoff record for singles, with five. The win pushed the series to a fourth game, and the Ham Slams will try to close out the series while Cookies & Cream attempts to force a fifth game. After scoring one run in games one and two combined, Cookies & Cream needed a revival on offense, and they got it started immediately in the top of the first inning against the Ham Slams starter, Dustin. Joey led off the game with a single, and Cookies took an early lead when Erich followed with a two-run homer, making the score 2-0. Jordan then doubled, and Dinger followed with a single to put runners on the corners. Joey then singled, scoring Jordan, and Cookies led 3-0. Cookies had runners on first and second when Dustin retired Erich for the first out of the inning. Dinger attempted to score from second on the play and was gunned out for the second out of the inning by Kessler, making his first appearance of the 2017 season, filling in for Dan. The Ham Slams bounced back in the bottom of the first and cut into the Cookies & Cream lead. Steve started the bottom half of the inning by launching a solo homer to right-center off the Cookies & Cream starter, Jordan, and the score was 3-1. After Jordan retired Josh for the first out of the inning, the next three Ham Slams batters singled. Dustin singled and moved to second on Kessler’s single. Steve then singled, scoring Dustin, and the score was 3-2. The Slams had runners on first and second, but Jordan escaped the inning, retiring Josh to strand both runners. Steve helped to keep the Ham Slams in the game, going 4-for-7 with a single, three home runs, and six RBI. Dustin retired Cookies & Cream in order in the top of the second, and the Ham Slams took command of the lead in the bottom of the second. Dustin led off the inning with a solo homer, tying the game at 3-3. After Kessler doubled, Steve crushed his second homer of the game, a two-run bomb that put the Ham Slams ahead 5-3. Two batters later, Dustin hit a one-out triple, and he scored from third on Dustin’s RBI double that pushed the Ham Slams lead to 6-3. Jordan then retired Steve to end the inning, and the Slams led by three. Cookies & Cream had lost their early lead, but they followed up with their biggest inning of the playoffs in the top of the third. Joey led off the inning with a double, and two batters later, Jordan hit a one-out RBI double to make the score 6-4. Dinger then singled, scoring Jordan from second, and the score was 6-5. 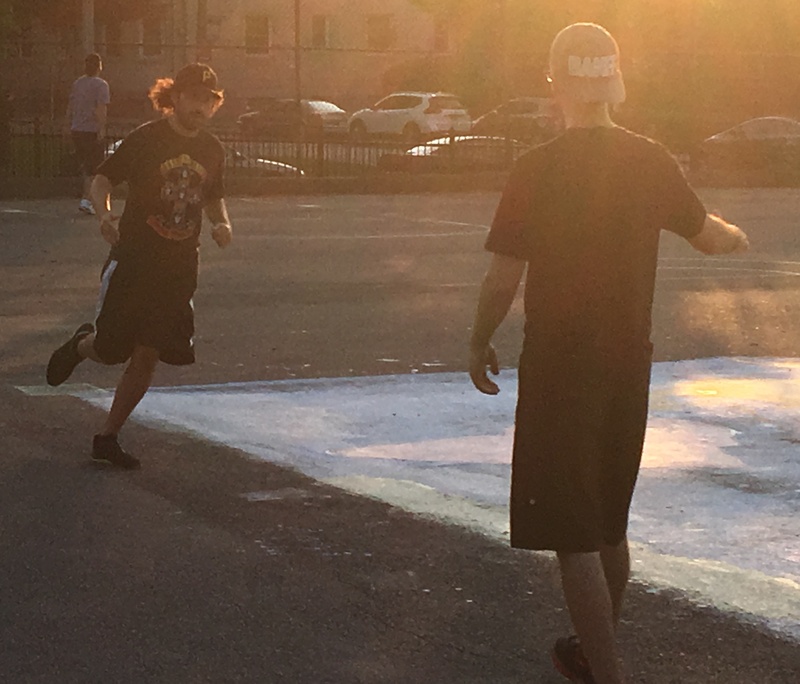 Joey followed with a double, putting runners on second and third, and Erich cleared the bases with an RBI double that put Cookies & Cream back on top 7-6. Jordan then crushed a two-run home run to left-center, and Cookies led 9-6. Dinger followed with a single, and Joey drove him in with a two-run homer to left, and the lead jumped to 11-6. Erich made back-to-back jacks when he followed Joey’s homer with a solo shot, and the Cookies lead was 12-6. Jordan singled, and when Dinger followed with a single, Jordan was caught out trying to advance from second to third, ending the inning. Cookies & Cream had scored nine total runs in the inning, eight of them coming with one out, tying an EWL playoff record set by Downtown Bobby Brown in 2012. Erich prepares to unload on a pitch while his teammates, Joey and Jordan, watch. Erich went 4-for-7 in the big game three win, with a double, a triple, and two home runs. Trailing by six, the Ham Slams put a dent in the Cookies & Cream lead in the bottom of the third. Josh led off the inning with a double, and he scored from second when Dustin followed with an RBI double. Dustin’s double gave him the cycle for the game, and it cut the score to 12-7. Jordan retired the next two batters to end the inning, and Cookies & Cream led by five. Erich tripled with one out in the top of the fourth, but Dustin avoided further damage, retiring Jordan to strand the runner and end the inning. Down 12-7, the Ham Slams cut deeper into the Cookies & Cream lead in the bottom of the fourth. Dustin doubled with one out, his fifth consecutive at-bat with a hit, and he scored when Kessler followed with an RBI single, making the score 12-8. 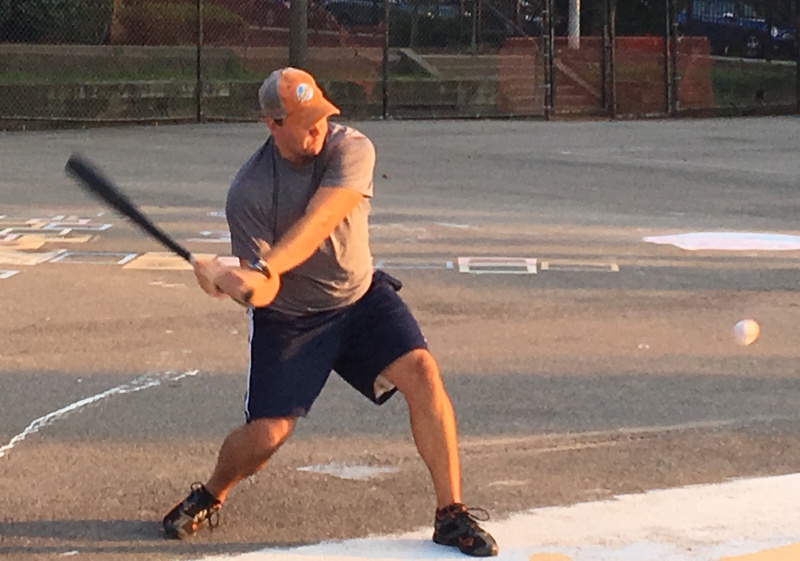 Steve came to the plate and hit his third round-tripper of the game, a mammoth blast to right-center than narrowed the Cookies & Cream lead to 12-10. Jordan was removed from the game, and Cookies & Cream turned to Dinger from the bullpen. The first batter he faced, Josh, singled, but Dinger would end the inning by retiring Dustin for the second out. Dustin retired Cookies & Cream in order in the top of the fifth, and the score remained 12-10. Dinger matched him in the bottom of the fifth, retiring Kessler and Steve consecutively. Cookies & Cream would add one insurance run in the top of the sixth. Jordan doubled with one out, and Dinger drove him in with his record-setting fifth single of the game, making the score 13-10. Dustin retired Joey to end the inning, and the Ham Slams would need three runs in the bottom of the sixth to extend the game. 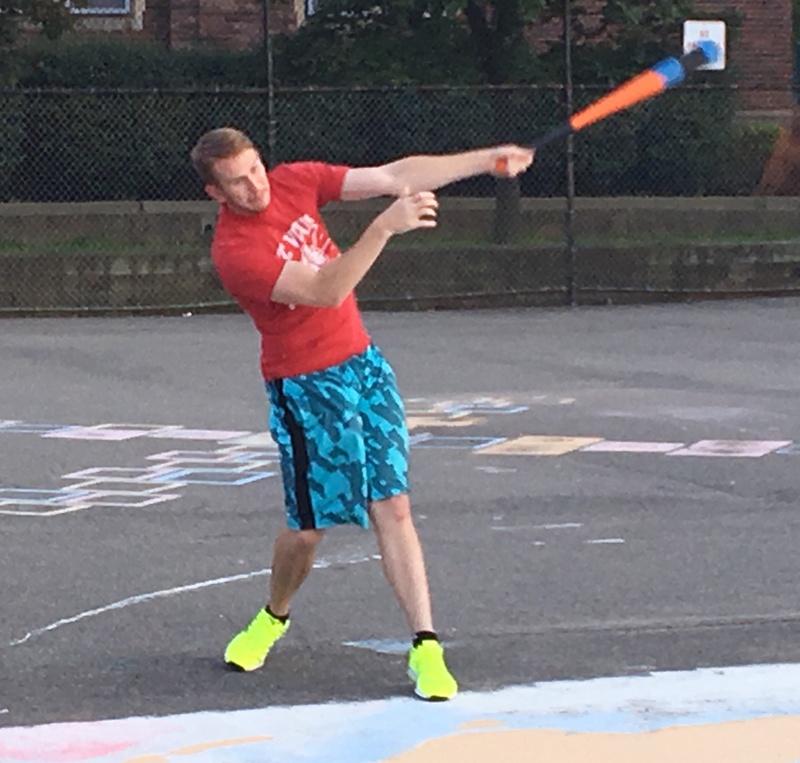 Dinger made quick work of the Slams in the sixth, retiring Josh and Dustin in order, ending the game, and giving Cookies & Cream a 13-10 win and a chance to play another game. 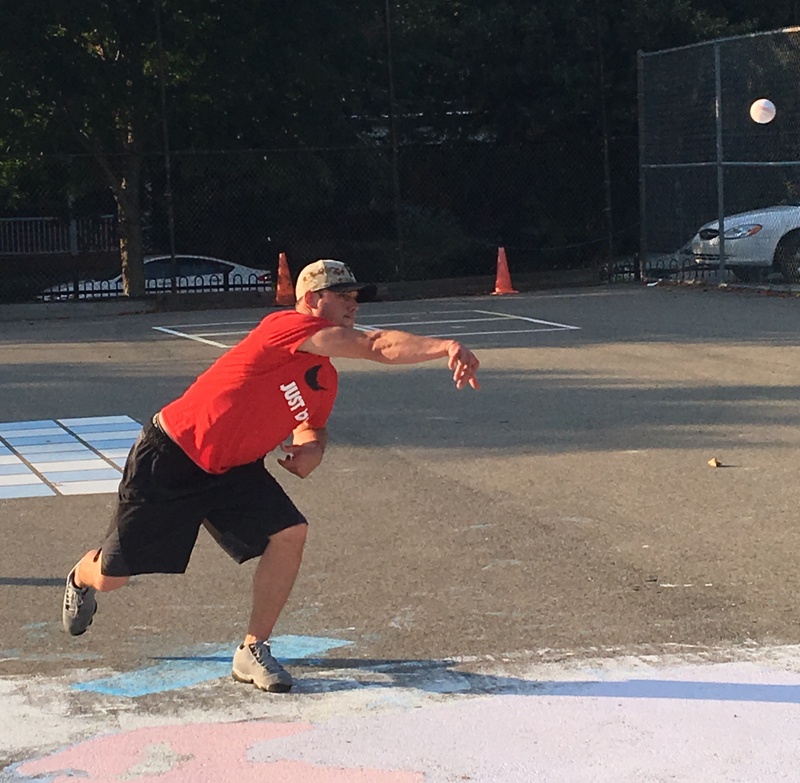 The Ham Slams continue to lead the best-of-five series 2-1, and will attempt to close out the series in game four and advance to their first Wiffle Series. – Jordan earned the win for Cookies & Cream, allowing ten runs on fourteen hits in 3.5 innings pitched. – Dinger pitched 2.5 innings of relief for Cookies & Cream, giving up no runs and one hit. – Dustin took the loss for the Ham Slams, surrendering thirteen runs on nineteen hits in six innings. – Jordan led Cookies & Cream on offense, going 5-for-7 with a single, three doubles, a home run, four runs scored, and three RBI. – Erich went 4-for-7 with a double, a triple, two homers, three runs scored, and five RBI. – Joey reached base safely in his first five at-bats, going 5-for-8 with two singles, two doubles, a home run, four runs scored, and three RBI. – Dinger set the single-game playoff record for singles, with five, going 5-for-7 with five singles two runs scored, and two RBI. – Steve led the Ham Slams on offense, going 4-for-7 with a single, three home runs, three runs scored, and six RBI. – Dustin hit the cycle for the Ham Slams, going 5-for-7 with a single, two doubles, a triple, a home run, four runs scored, and an RBI. 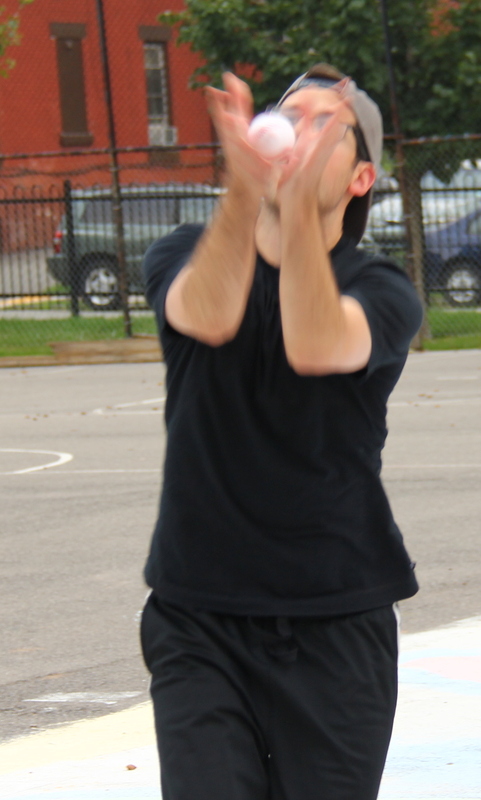 Dan was unhittable on the mound, scattering three hits in a complete game shutout of Cookies & Cream in game 2. He also drove in the game-winning RBI. 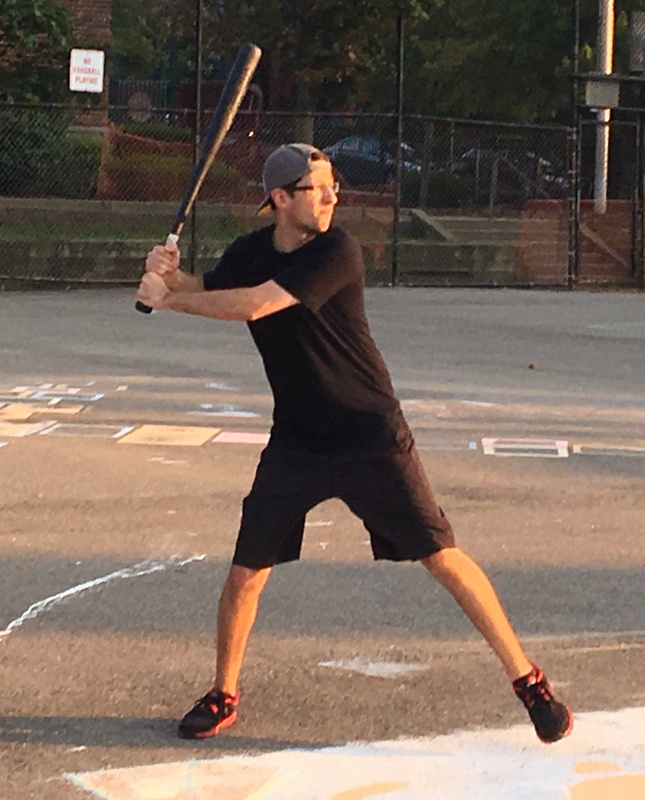 The Ham Slams, led by Dan who pitched a complete game shutout, put Cookies & Cream firmly against the wall after winning game 2 of the their first round series 2-0. 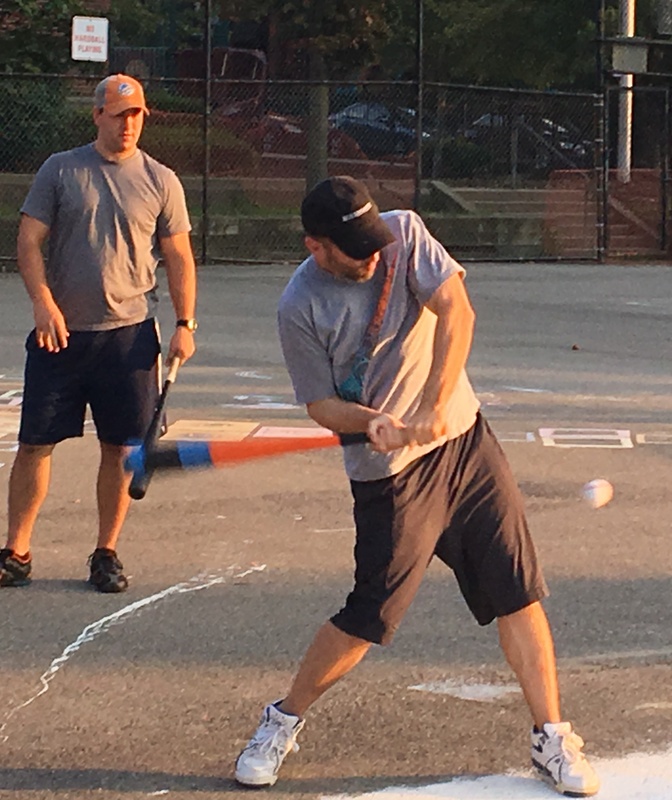 The win put the Ham Slams one victory away from sweeping Cookies & Cream, advancing out of the first round for the first time in franchise history, and earning a spot in the 2017 Wiffle Series. 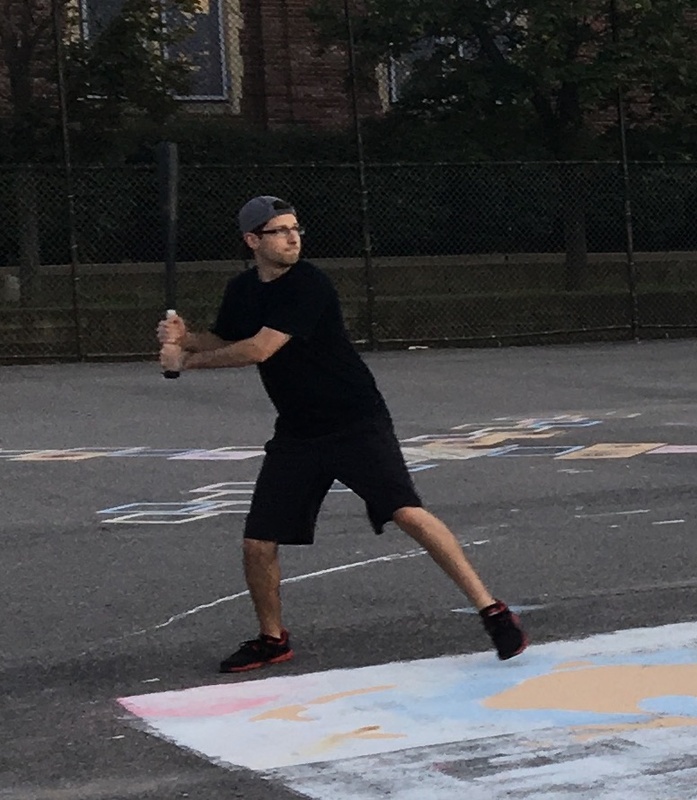 Dan allowed only three hits, and Cookies & Cream never threatened, as the Slams have now allowed only two runs on six hits in the first two games of the series combined. Steve went 2-for-4 to lead the Ham Slams on offense, with a triple and a solo homer. The Slams will attempt to close out the series in week 2 of the playoffs, while Cookies & Cream will attempt to come back from an 0-2 hole in the first round for the second time in franchise history. The Ham Slams took an early lead in the top of the first when the game’s first batter, Steve, tripled off Cookies & Cream’s starter Guthrie. Guthrie got the next batter, Dan, to ground out to left, but Steve scored on the play, and the Ham Slams led 1-0. Guthrie then retired Josh to end the inning. Erich singled with one out in the bottom of the first, but Cookies & Cream couldn’t capitalize, as Dan retired Joey to strand the runner and end the inning. Guthrie cruised through the top of the second, retiring the side in order. Dinger singled with one out in the bottom of the second, but once again Dan buckled down, retiring Guthrie to strand the runner, and the Slams continued to lead 1-0. The Ham Slams threatened in the top of the third when Dan led off the inning with a double and moved to third on Josh’s single. The Slams had two runners in scoring position with no outs, but Guthrie avoided damage, retiring Dustin and Steve to strand them both, ending the inning without allowing a run. Cookies couldn’t get on the board in the bottom of the third, as Dan retired Erich and Joey in order. Guthrie matched him in the top of the fourth, sending Dan and Josh down consecutively. Josh secures a fly ball in right field for the Ham Slams, with Dustin backing him up. Dan continued to roll in the bottom of the fourth, retiring Jordan and Dinger. The Slams would add an insurance run in the top of the fifth. With one out, Steve launched a solo homer to right-center, putting the Ham Slams ahead 2-0. Guthrie retired Dan to end the inning, and Cookies trailed by two runs. Guthrie led off the bottom of the fifth with a double, but once again, Dan stranded a Cookies runner. He retired Erich and Joey to end the inning, maintaining the shutout and the two run lead. Guthrie retired the Slams in order in the top of the sixth, and Cookies would head into their final at-bat down two. Dan contemplated bringing in a reliever for the save, but he remained on the mound to close things out for the Slams, and it was the right decision. He retired Jordan and Dinger in order, ending the game, and giving the Ham Slams a 2-0 win in game two of the best-of-five series. The win moved the Ham Slams to only one victory away from winning the series and clinching a spot in the 2017 Wiffle Series. 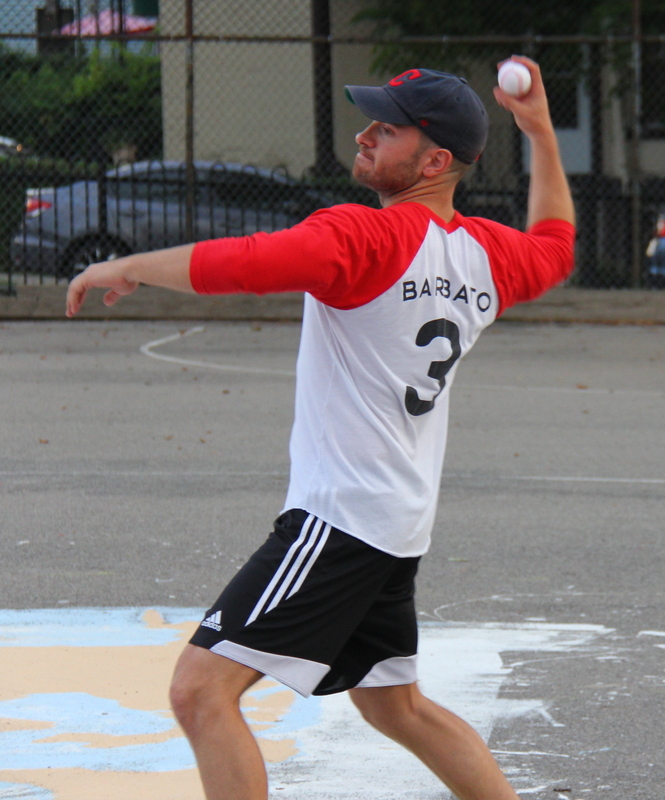 – Dan pitched the complete game shutout for the Ham Slams, allowing only three hits in six innings. This was the 12th shutout in EWL playoff history. – Guthrie took the loss for Cookies & Cream, giving up two runs on four hits in six innings. – Steve led the Ham Slams on offense, going 2-for-4 with a triple, a home run, and he scored both Ham Slams runs. – Erich, Guthrie, and Dinger each had a hit for Cookies & Cream in the loss. 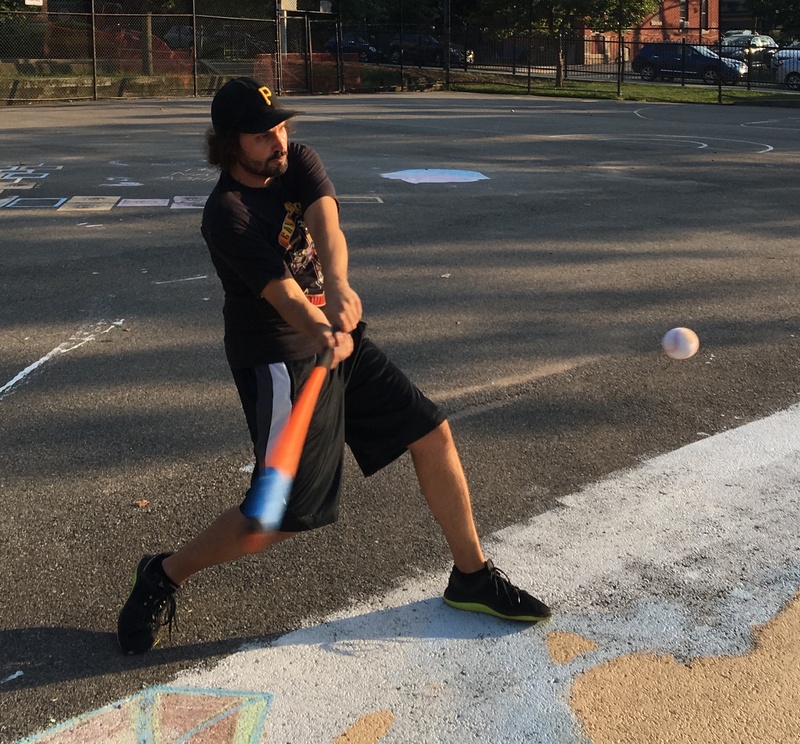 The Cookies & Cream offense came into the 2017 EWL playoffs surging, but Dustin cut their legs out from under them, allowing only one run on three hits as the Ham Slams jumped out to a 1-0 lead in the best-of-five first round series with a 2-1 victory. Jordan had a strong performance on the mound, giving up only two runs to the Ham Slams, but they were enough for the Slams to hold on to steal game one. Josh’s timely double in the top of the sixth was the difference, as he later scored on a strange single from Steve off the centerfield wall, giving Dustin all of the run support that he would need. Steve singled off Jordan to start the game in the top of the first, but the Slams wouldn’t move him from first. Jordan got Dan to fly out to shallow left, and then fanned Josh to end the inning. Dustin got off to a strong start in the bottom of the first, retiring Guthrie and Erich in order. The Slams would get on the board in the top of the second, taking an early lead. Dustin singled to lead off, and two batters later, Dan hit an RBI double to left-center, scoring Dustin from first to put the Slams ahead 1-0. Jordan then retired Josh to end the inning, and the Ham Slams led by one. Joey tripled to start the bottom of the second, and the tying run was in scoring position, but Dustin buckled down and Cookies couldn’t capitalize. He retired Jordan and Dinger to strand the runner, and the score remained 1-0. Jordan rolled through the top of the third, retiring the side in order. Erich doubled with one out in the bottom of the third, but Dustin stranded another runner in scoring position, retiring Joey to end the inning. Dan doubled to lead off the top of the fourth, but the Slams couldn’t extend their lead. Jordan sent down Josh and Dustin, stranding the runner, and Cookies continued to trail by a run. Dustin retired Jordan and Dinger in order in the bottom of the fourth, and Jordan matched him in the top of the fifth, sending Steve and Dan down consecutively. Dustin continued to dominate on the mound in the bottom of the fifth, retiring Guthrie and Erich in order, and the Ham Slams would head into the final inning up 1-0. Josh led off the top of the sixth with a double, and two batters later, Steve hit a line drive to right-center. The ball hit the bottom of the fence, and Josh raced around to score on the play. After some debate as to whether Steve had reached first safely and whether the run would score, Steve was ruled safe at first but out trying to extend the hit into a double. The inning was over, but the run counted, and the Ham Slams had a two run advantage entering the bottom of the sixth. Down to their last at-bat, Cookies & Cream showed some life in the bottom of the sixth, but not enough. With one out, Jordan roped a solo homer to deep left-center, breaking up the shutout and putting Cookies & Cream on the board at 2-1. Dinger then came to the plate, and Dustin got him to fly out, ending the inning and the game, as the Ham Slams won game one 2-1. 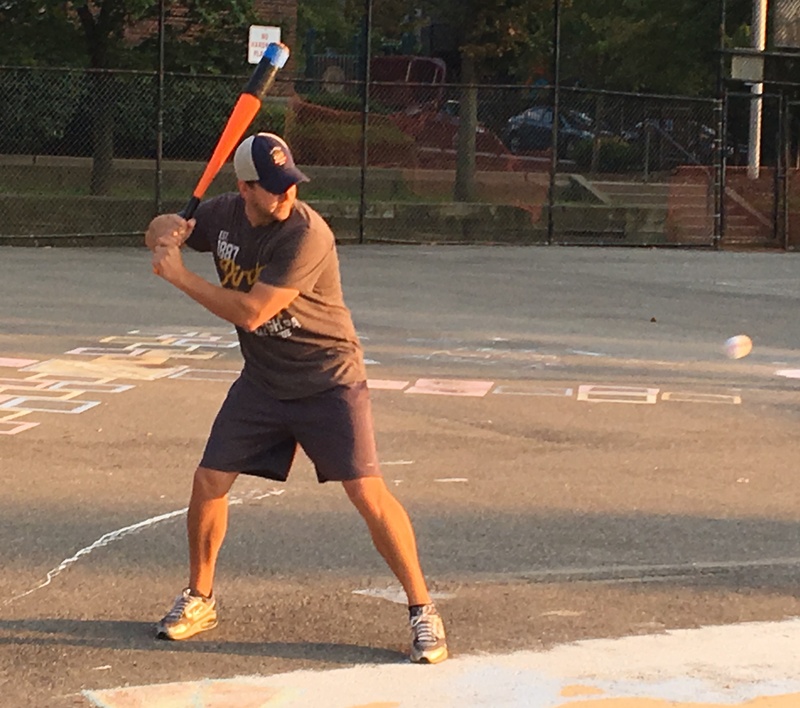 The Ham Slams would now need two more wins in the series to advance beyond the first round and into the Wiffle Series for the first time in franchise history. – Dustin pitched the complete game win for the Ham Slams, allowing only one run on three hits in six innings. – Jordan took the loss for Cookies & Cream, giving up two runs on six hits in six innings. – Dan led the Ham Slams on offense, going 2-for-4 with two doubles and an RBI. – Jordan provided the only offense for Cookies & Cream, going 1-for-3 with a solo home run.